Wearables may improve clinical outcomes in the OR. 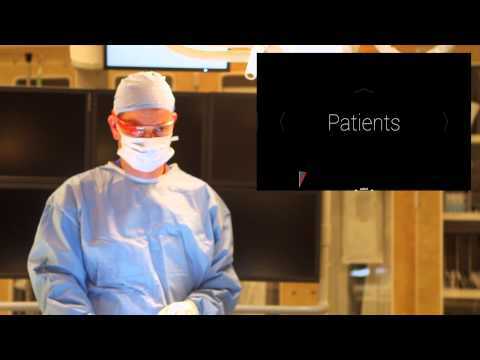 Can wearables in the OR improve clinical outcomes? Although it makes sense, there’s little empirical evidence for or against wearables. But a new study may help answer that question. The study was conducted by Stanford Medical School and VitalMedicals, which makes the real-time vitals app (VitalStream) that was running in the Google Glass wearables during the surgeries. In it, a group of 20 Stanford residents performed two types of surgeries — on dummies — one with the help of Google Glass and one without. Their performance was markedly better while using Glass. The residents were asked to perform relatively routine procedures on the dummy patients, but then unbeknownst to them, a sudden complication occurred, VitalMedical’s chief science officer Ash Eldritch told VentureBeat. So the residents were required to perform an urgent procedure on the patient. In another test, the patient required a thoracostomy tube placement through the chest wall to drain fluids. The residents using the VitalStream app recognized hypotension in the patient 10.5 seconds sooner than the control group. The residents wearing Glass looked up at monitoring equipment during surgery far less, which allowed them to stay focused on the patient and the procedure, Ash says. The study resulted in compelling preliminary evidence that the head-mounted display can be used in a clinical setting to enhance situational awareness and patient safety. You can see the technology in action in this video.